Hi friends…I am the Guest Designer today at The Rubber Cafe. 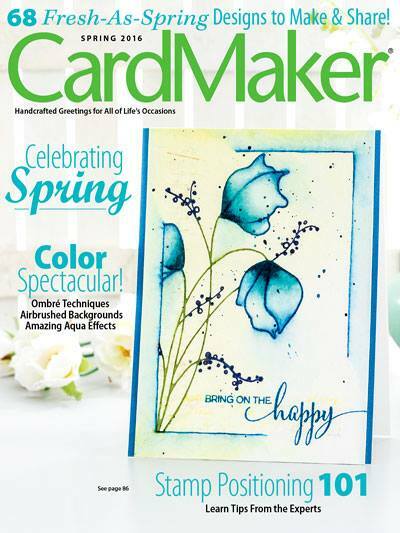 Such an honor to be selected to work with their fabulous selection of stamps. OK...on to the cards I made. I have a set of one layer note cards I colored with gelatos. How adorable is this Daisy Bouquet stamp?!? Who said you have to stay inside the lines while coloring? I also die cut a 1 inch curved border away from the card front to stamp the sentiments from the Fabulous Phrases stamp set. And because I never think a card is finished, I dry embossed a few lines down the front of the note card. The box was made with my Silhouette Cameo and the patterned paper is Firefly by Prima. 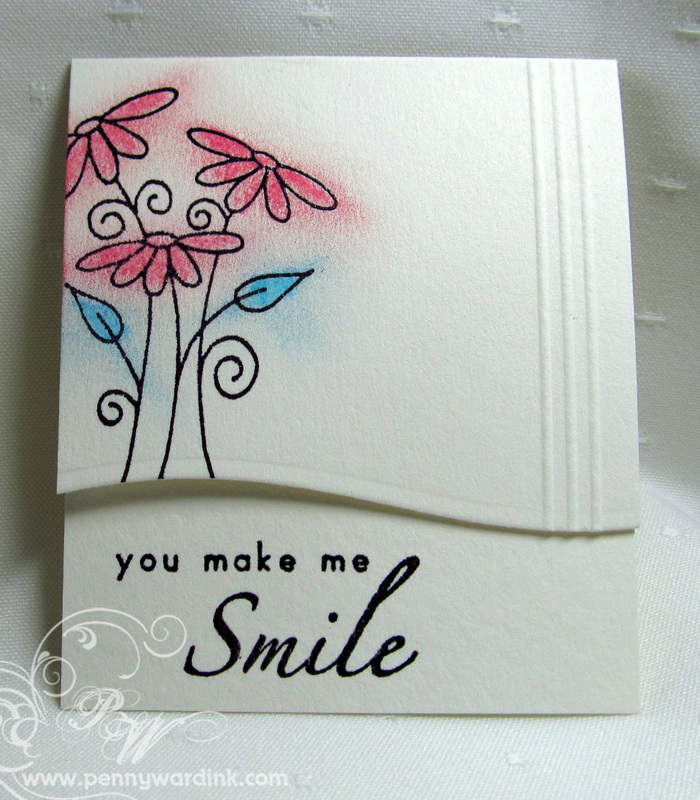 Stamping the Daisy image on top of designer paper really ties the note set together. 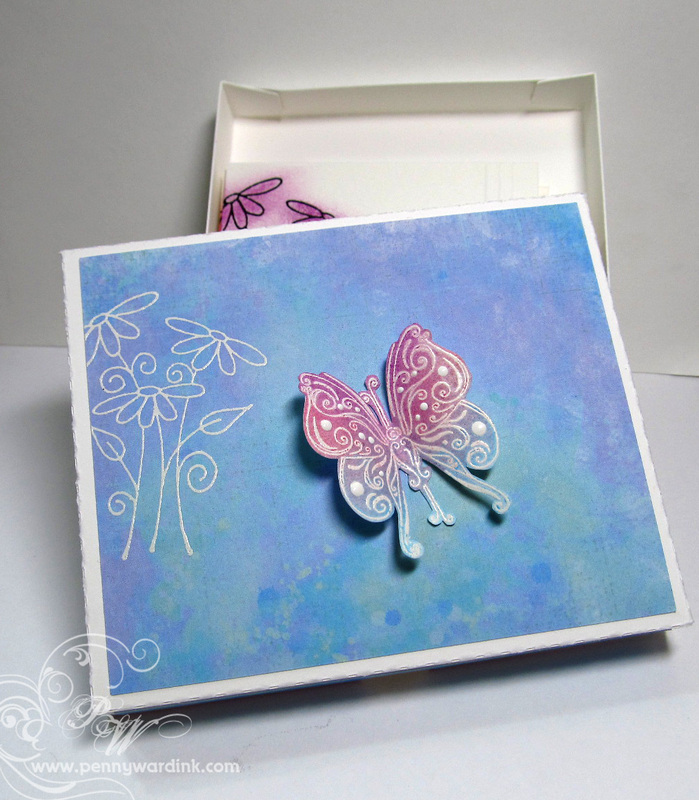 Stamped and fussy cut the Small Swirled Butterfly for top of box. Because I just love that Daisy stamp I had to make another card. This little cutie is super easy to make. The circles cut from the front panel were done with my Silhouette Cameo. The edge cut is Enjoy Life by Die-Versions. Stamped the flower image 3 times across a wide strip of white card stock and attached it to the back of the front panel with foam adhesive. A white gel pen along with white Enamel Accents, a few Copics and you are finished. I hope you find inspiration from today's post. All of these are fabulous! Congrats on being a guest designer. The Rubber Cafe has some great stuff. Beautiful card set Penny. I think those score lines are a perfect finishing touch. Definitely MEANT to be there! What great cards!!! So glad you playing along with us this month. I LOVE the flowers peaking out from the circles. So cute and clever! I really really really like the note card set. So nice and clean looking! Thanks again Penny for sharing your talent with us over at S&S! I hope that you enjoy seeing all the pretty cards that your original helped inspire! !